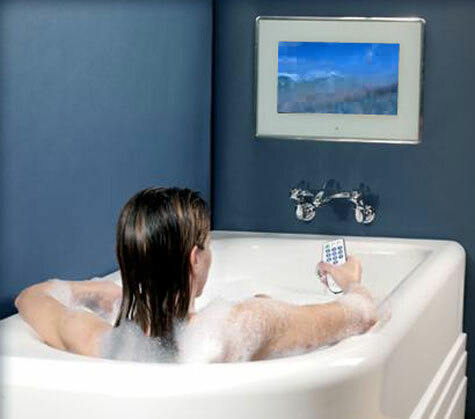 Aquavision has announced to unveil the waterproof LCD TV of the future,Dubbed AVF 57-4LCD.It has Full HD 1920 x 1080 resolution, analogue and digital tuners, two HDMI inputs and a claimed 2,073,000 pixels. Oh, and two remote controls, one of which is waterproof. 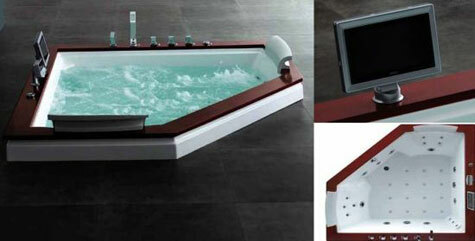 Check out the Royal A-512 Whirlpool Bathtub, a fully loaded massage bathtub, with air jet massage, water jet massage, heat pump, and a water-proof LCD monitor with remote. Its recessed neo-angle design enables you to add your own creative flare to your bathroom. It can be recessed into the floor or built into tile. Specially designed spray nozzles are strategically positioned based on human acupuncture points, so that you can benefit from hydromassage. 17.1” High Quality LCD Screen. Touch sensitive Power and Standby button. Heated screen to prevent condensation. Water tight seal front and rear to meet all current wet room electrical regulations (IP66). Compatability with Systemline Modular Local Input. 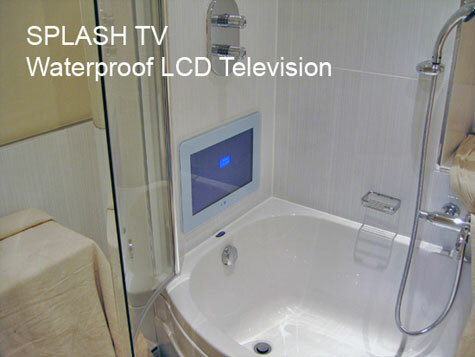 Simple to install, supplied as a sealed unit so no dust penetration between glass and screen. Interoperability with Hotel ‘pay per view’ systems.